CHICHIGALPA, Nicaragua — Jesus Ignacio Flores started working when he was 16, laboring long hours on construction sites and in the fields of his country’s biggest sugar plantation. Three years ago his kidneys started to fail and flooded his body with toxins. He became too weak to work, wracked by cramps, headaches and vomiting. On Jan. 19 he died on the porch of his house. He was 51. 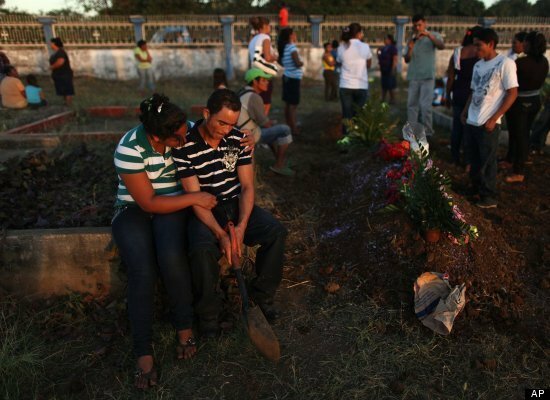 His withered body was dressed by his weeping wife, embraced a final time, then carried in the bed of a pickup truck to a grave on the edge of Chichigalpa, a town in Nicaragua’s sugar-growing heartland, where studies have found more than one in four men showing symptoms of chronic kidney disease. In Nicaragua, the dangers are better known, but still, workers need jobs. Zapata Palacios left eight children. Three of them work in the cane fields. Two already show signs of disease.